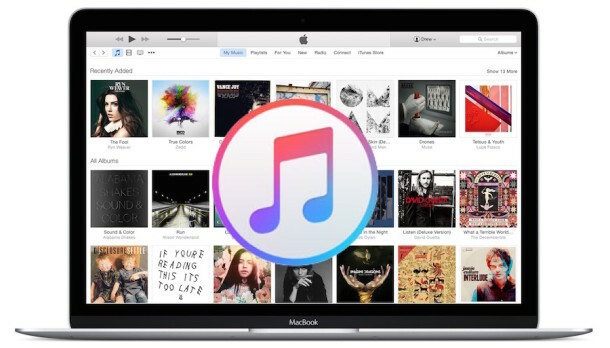 If you’re not using Apple Music or listening to the subscription service, with no plans to pay for it after the free trial period, you can choose to hide Apple Music from iTunes on a Mac and from the Music app on an iPhone, iPad, and iPod touch. 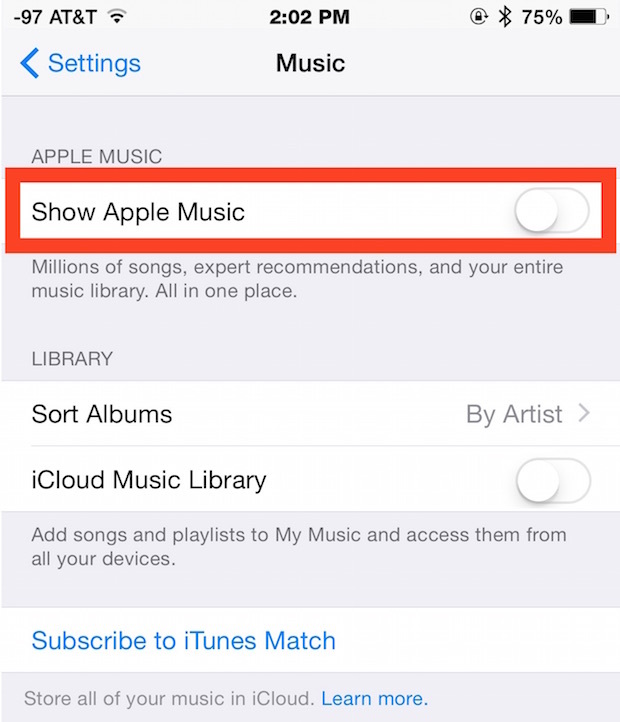 Hiding Apple Music is perhaps most useful on the iOS side, where doing so will return the Music app tabs to what existed prior to the release of Apple Music, making it a bit easier for some users to browse existing song libraries. Obviously by hiding Apple Music you won’t have access to the streaming service at all, so if you are paying for the subscription plan or plan on subscribing after the trial period is over, doing this would not be recommended. With Apple Music disabled in iOS, the “New”, “For You”, “Connect”, and “My Music” tabs will be gone in favor of the prior tabs in Music app, including the simple Playlist tab. Disabling Apple Music in iTunes basically makes iTunes behave much like it did before the release of the subscription service. 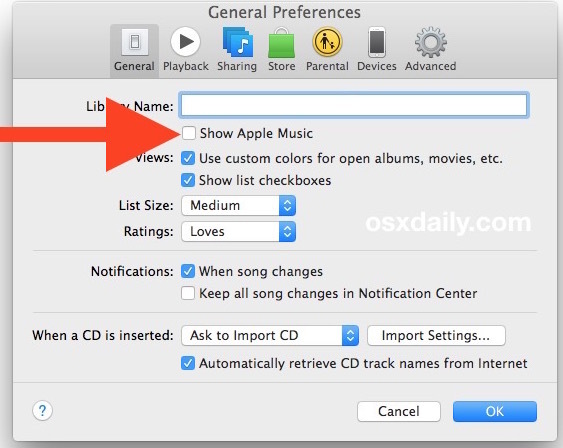 Do note that if you hide Apple Music in iTunes or iOS you can continue to listen to the Beats1 Radio channel by using the iTunes Radio feature to do so. Heads up to iDownloadblog for pointing this out. This procedure does not remove ‘Connect’ from the iPad.